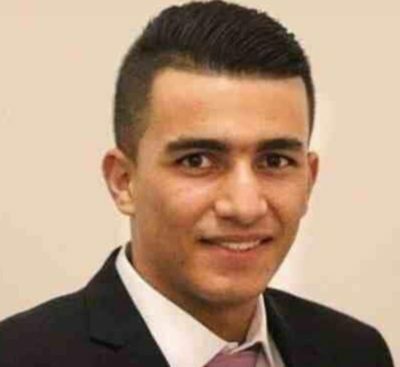 A squadron of Israeli military and police officers invaded Nablus at 1 am on Thursday, surrounded the house where a Palestinian suspected of killing two Israeli settlers, was believed to be hiding, and shot and killed the man, who was identified as Ashraf Waleed Suleiman Na’alwa, 23. Na’alwa was ‘wanted’ by Israeli forces for the killing of two Israeli colonial settlers two months ago. 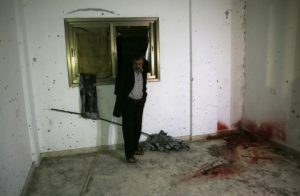 The soldiers shot and killed Ashraf with multiple rounds. According to Israeli sources, the location of Na’alwa was provided by several suspects after they were subjected to “harsh interrogation”, which is the euphemism that Israeli authorities use to describe torture. The Israeli intelligence service Shin Bet told Israeli media that they worked with several other Israeli agencies to “interrogate suspects” and try to locate Na’alwa. During the invasion, the military deployed dogs and heavily-armed soldiers who surrounded the building, entered the building firing heavily, shot and killed Na’alwa, and abducted two men who lived in the building with their mother. Israeli sources said Na’alwa was killed by undercover soldiers of the Yamam special forces, who briefly exchanged fire with him, while he was hiding in a home in Askar refugee camp, east of Nablus. They added that Ashraf was chased, for several hours, through many areas until reaching the home, before dozens of soldiers, intelligence officers and undercover soldiers managed to surround the building. 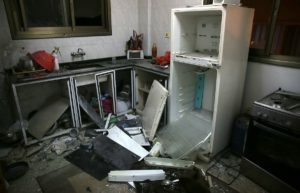 Israeli media sources quoted senior military and security officials stating that the first weeks after fatal shooting in the settlement, the hunt for Na’alwa was largely focused on extensive searches of homes, caves and buildings, but later the search became more focused on individuals, who were detained and “interrogated,” on suspicion of providing aid to him. After killing the young man, the soldiers invaded many areas in Tulkarem, especially in Shweika area, near the Annexation Wall, and fired a barrage of gas bombs, rubber-coated steel bullets and live rounds, at Palestinian protesters. The soldiers also attacked journalists, and forced them to leave the area. It is worth mentioning the repeatedly abducted members of his family, including his father, mother, sisters and brothers, in an attempt to locate him. Two months ago, the army also issued a demolition order targeting the Na’alwa family home. Earlier in the day, another Israeli execution operation was carried out, this time targeting Salah Omar Barghouti, 29, who was a suspect in another crime.